The Austin Bead Society will be having an exhibit at Austin Bergstrom International Airport from August through November (exact dates still to be determined). Just imagine- your work could be seen by visitors to Austin during Austin City Limits and the Formula 1 Racing that will take place during the exhibit! We are soliciting Members… Continue Reading Call for Entries!!!!! I’d like to take a moment to say farewell to one of our Local Bead Stores (LBS), Nomadic Notions, located on West Anderson Lane. A couple weeks ago, we found out that not only did owners Robert and Gemma Corbin sell the store after 25 years, but that the new owners would not be maintaining… Continue Reading A Fond Farewell! 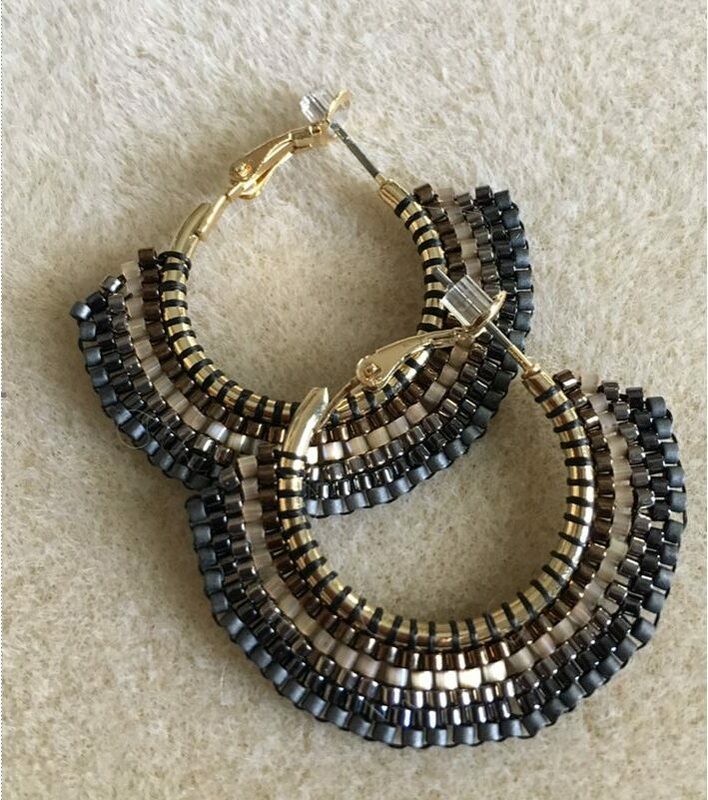 We will be using the brick stitch technique to embellish earring hoops using size 11 delica beads or seed beads. This is a versatile stitch that can be used to do elaborate decorating once the basics are learned. This is a beginner-level technique, no previous experience required. Project taught by Donna Mehnert. Beads – Size 11 seed or delica beads. Two or three colors are plenty. But you can bring whatever makes you happy. Thread – I like using the Nymo/One G nylon thread for this because the thread will show and you can utilize its pretty color palette to match or contrast with your bead choices. If you prefer Fireline, that’s fine too. 6# works well.